EMS Pipeline Services (EMS) is an established energy measurement services company with over 150 energy measurement and technology professionals currently providing asset management, consulting, communications, and web-based data management to major pipelines, independent power producers and oil and gas producers. 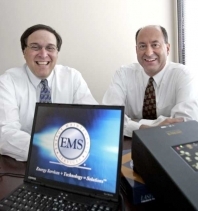 In addition, EMS owns the worldwide rights to PGAS, the premier gas measurement software system designed to meet the data editing, processing and archiving requirements of the energy industry. PGAS is currently in use by approximately 25 major energy companies, including Duke Energy, Enogex, Enron, Kinder Morgan, ONEOK, Shell Gas, Texaco, and TXU. The PGAS data processing platform, combined with our established asset management services, has positioned EMS to become the leading provider of energy measurement services.